According to the Substance Abuse and Mental Health Services Administration (SAMHSA) (2014), “individual trauma results from an event, series of events, or set of circumstances that is experienced by an individual as physically or emotionally harmful or life threatening and that has lasting adverse effects on the individual’s functioning and mental, physical, social, emotional, or spiritual well-being.” By definition, then, all Holocaust survivors have endured trauma. Since the Holocaust, we have come a long way in our understanding of how to work with those who have experienced trauma. We know, for example, that “long after a traumatic experience is over, it may be reactivated at the slightest hint of danger” (van der Kolk, 2014). And we know that, for even the most resilient Holocaust survivors, signs of danger can be anywhere. They are in showers and medical uniforms, in waiting rooms and in loud noises and in restrictions on food, clothing, and shelter. They are embedded in the process of growing old and in the risk of losing one’s family, friends, health, and independence, all of which can trigger traumatic memories of experiences during the Holocaust. They are even entrenched in the structure and functioning of social service agencies, where survivors face the very real risk of being re-traumatized by policies and procedures that do not take their unique histories into account. Even asking clients for a family history, an almost taken-for-granted part of the social service assessment processes, can be re-traumatizing and deeply distressing to Holocaust survivors, especially since many have family and friends that were Nazi victims. Fortunately, our deepening understanding of trauma has led to new models of service provision designed to reduce the risk of re-traumatizing those who have been victimized. Known as “trauma-informed care,” these models seek to create organizational systems where all personnel (from the housekeeping staff to the executive leadership team), all policies and procedures (from asking personal questions to providing transportation), and all programmatic spaces (from the waiting room to the parking lot and all client activity areas) are designed to create a sense of safety among clients, visitors, and staff. According to SAMHSA (2014), “trauma-informed” services are guided by the principles of safety, trustworthiness and transparency; peer support; collaboration and mutuality; empowerment and choice; and sensitivity towards cultural, historical and gender issues. A program, organization, or system that is trauma-informed realizes the widespread impact of trauma; recognizes the signs and symptoms of trauma in clients, families, and staff; responds by integrating knowledge about trauma into policies and procedures; and resists re-traumatizing those who have been victimized in the past. These are the “4 R’s” that provide the backbone to the trauma–informed approach (SAMHSA, 2014). In a trauma-informed agency, leadership, governance mechanisms, finances, and policies all support and promote trauma-informed care. The physical environment provides a sense of safety among clients and staff, and staff encourage clients to provide feedback on agency operations. Collaboration, training, and staff support are standard. Trauma-informed screenings are available for all clients, and quality assurance protocols, are in place to monitor adherence to, and the impact of, trauma-informed approach on clients (SAMHSA, 2014). When provided in a person-centered manner that emphasizes self-determination, choice, empowerment, and individual preferences (Carter and Weinberger-Divack, 2015; Feinberg, 2012), a new model emerges that is ideally suited for serving and supporting Holocaust survivors. “Person-Centered, Trauma-Informed” (PCTI) care, the term used by The Jewish Federations of North America (JFNA) for this combined method, is a holistic approach to service provision that promotes the dignity, strength, and empowerment of trauma victims by incorporating knowledge about the role of trauma in victims’ lives into agency programs, policies, and procedures. In September 2015, JFNA received a grant from the United States Administration for Community Living/Administration on Aging to expand access to PCTI care among Holocaust survivors living in the United States. The goals of the grant are to advance innovations in PCTI care, and to build the capacity of the nation to provide services in a PCTI way. With the grant and additional philanthropic funds, JFNA established the Center for Advancing Holocaust Survivor Care, and created a Request for Proposal (RFP) process through which sub-grants are allocated to agencies to develop innovations in PCTI care for Holocaust survivors. Subgrants include a variety of programs including, mental health, cognitive health, education and training, physical health, socialization, and support for family caregivers of Holocaust survivors. In addition to providing funding for a variety of innovative PCTI infused programs, The Center provides technical assistance to agencies serving survivors, hosts national webinars to share promising practices in PCTI care, and is developing a website with resources and reference material related to PCTI care. The Center is conducting a longitudinal study to evaluate the impact of these activities on agencies that serve older adults. To date, grants have been awarded to 34 agencies throughout the U.S. to develop, implement, and evaluate PCTI-based programs and services for Holocaust survivors. These agencies represent a diverse group of providers in terms of size, region, and target population (i.e. Orthodox Jewish survivors, survivors from the Former Soviet Union (FSU), low-income survivors, and varied backgrounds). Their innovations include programs to: reduce social isolation among survivors; improve the physical, emotional, mental, and cognitive health of survivors; increase survivors’ access to supportive, legal, and financial services; and train and educate professional staff, family caregivers, and volunteers about caring for survivors in a PCTI way. Some agencies are developing and implementing one innovative PCTI program, while others are implementing multiple concurrent programs. JFNA provides ongoing technical assistance to sub-grantees with their PCTI programs through conference calls, webinars, individual consultations, and an annual training workshop. This article, highlights two grantees implementing innovations to build the capacity of agencies to provide PCTI care: Jewish Family Service (JFS) of Kansas City and Selfhelp Community Services, Inc., of New York City. Jewish Family Service of Kansas City has been serving the Holocaust survivor community since the late 1940s, when refugees arrived from Western Europe, and then in the 1970s and 1990s as influxes of survivors emigrated from the FSU. JFS has helped Holocaust survivors find housing, jobs, and comfort in their new community. In more recent years, JFS has expanded its services to meet the complex and changing needs of aging survivors. Accordingly, JFS launched a case management program to meet psychosocial needs and to reduce the risk of admission to hospitals and long-term care facilities, which can be re-traumatizing to survivors. The approximately 92 survivors in Kansas City, now with an average age in their late-seventies, are some of the most vulnerable older adults in the community. Historically, survivors from the FSU are more likely to be at risk, in part, due to their immigration to America later in life. This experience meant that many survivors from the FSU were not eligible for Social Security, and a majority did not make enough money to save for retirement. Additionally, due to their inability to practice their faith in their home country, this population was isolated from the Jewish community when they arrived. This is especially important to note given that ninety-four percent of survivors served by JFS of Kansas City are from the FSU, making them more likely to be low-income, socially isolated, and underserved through traditional social service entities. In Kansas City, 99% of JFS’ survivor clients have incomes below 100% of the federal poverty level, 70% live alone, and none of them drive. These factors contribute to social isolation and an associated decline in mental and physical health. 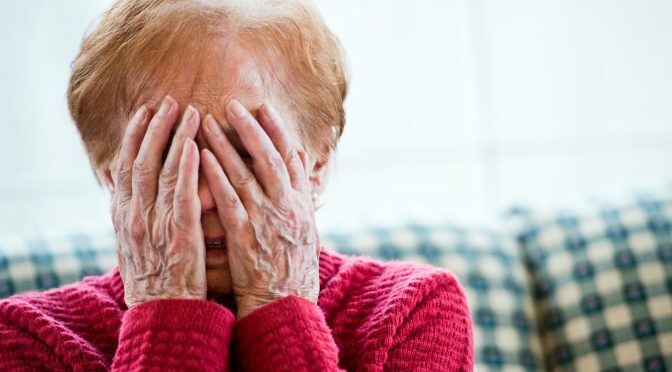 Each of these issues alone create problems for individuals as they age, but cumulatively and when combined with their history of trauma, these challenges require a thoughtful application of client assessment, service development and implementation, and a coordinated, comprehensive approach to service provision. In an effort to provide services utilizing PCTI principles, JFS Kansas City applied for, and received, a grant from JFNA’s Center to hire a Russian speaking case manager to assess the needs of survivors from the FSU and to be more culturally sensitive to the FSU community. JFS was determined to infuse the agency with PCTI principles. The first staff to be trained included the Russian speaking case manager the care management team, and other program managers. They participated in a week-long train the trainer program conducted by local experts, providing an in-depth training on PCTI principles. Following the training of senior staff, the case manager and care management program manager trained everyone at the agency who interacts with survivors, including other agency staff, private homecare providers, caregivers, and volunteers. This is a core element of the person-centered, trauma-informed approach: ensuring that the agency as a whole, including anyone who may come in contact with someone who has experienced trauma, is trained to recognize signs of post-traumatic stress and understand trauma triggers. Organizational and culture change is essential to avoid re-traumatization of those who have been victimized. JFS then set a goal to train more than 100 people who serve or interact with survivors in the community. At first, JFS experienced issues with recruiting local partners to participate in the training, but by leveraging connections and utilizing the right management staff, JFS received buy-in from different departments and community organizations, such as home care companies, their local Jewish Community Center, nursing homes, rehab centers, and transportation agencies. Once community partners realized its value, their requests for training increased. Additionally, the JFS training offered continuing education units to social workers, making the training even more desirable. One year into the program, JFS has trained over 250 participants, with evaluations measuring positive impacts. Ninety-nine percent of respondents reported that they understand the unique effects of trauma on the Holocaust survivor population, while 98% feel they can now identify potentially traumatizing situations that may impact survivors. Additionally, 98% of respondents feel they can now identify traumatic-stress-related behaviors survivors may exhibit, while 94% of respondents feel they are competent in creating a trauma-informed environment for Holocaust survivors. Selfhelp Community Services, Inc. undertook a similar training effort in New York City. Founded in 1936 by European émigrés who wanted to help their fellow refugees escape the Nazis and rebuild their lives in America, Selfhelp offers a variety of services including job training, housing, home care, and other social services. Since its inception, Selfhelp has viewed itself as the “last surviving relative” of victims of Nazi persecution and now, serving approximately 4,300 survivors, is the largest provider of direct services to survivors in North America. In addition to supporting survivors from the FSU through culturally-appropriate care management and creating a Russian language platform for its flagship online Virtual Senior Center, JFNA funded Selfhelp to train agency staff on PCTI principles and methods. Like JFS of Kansas City, Selfhelp trained their entire agency. The agency required all program staff to attend a general PCTI training, while social work staff in the Holocaust survivor program attended all of the trainings in a monthly series. All other staff who interact with survivors were invited to attend the monthly trainings. The lecture series used experts in the trauma field and included case studies and activities to expand staffs’ understanding about the role of trauma in their clients’ lives. By focusing on a wide array of issues from cultural competency, to psychosocial issues, to bereavement among survivors and their families, Selfhelp educated their staff on a variety of trauma-related topics and expanded staff’s knowledge of survivors’ unique needs. During the first year of grant funding, Selfhelp trained 231 staff members on PCTI care, and many attending multiple training sessions. Of those who completed a post-training evaluation, 88% left with a deeper understanding of what trauma is, and 87% gained a better understanding of the after-effects of trauma. Additionally, 62% of respondents of all of the trainings felt that the trainings would change the way they do their jobs. Additionally, Selfhelp convened an international conference in December 2016 and trained 300 service providers in PCTI care for Holocaust survivors. This was the first concerted effort to disseminate PCTI techniques and tools beyond the JFNA cohort of grantees. The conference included: networking opportunities; a panel discussion with survivors; sessions on trauma and resilience; the impact of trauma on children and grandchildren of Holocaust survivors; and sessions about end of life care, among other topics. In a post-conference survey, 97% of respondents reported that the conference helped expand their network of support in working with Holocaust survivors, 93% reported that they plan to maintain contact with professionals they met at the conference, and 92% reported that they learned new information on best practices in trauma-informed care for Holocaust survivors. Additionally, 95% reported that they plan to use what they learned in their practice or organization. Following the PCTI training, Selfhelp began practicing what they learned. It is through this training that Selfhelp realized the importance of being mindful of how programs are created and implemented. While adapting the next stage of their Virtual Senior Center for survivors, for example, they rethought the content being provided in their online courses. One program that benefited from rethinking course content was a group room for discussion about current events. While this may seem benign, some news events have the potential to trigger a survivor’s trauma. For example, contentious political races, acts of violence against minorities, or international conflict can all bring back memories. Acknowledging the potential to traumatize survivors participating in this discussion allowed Selfhelp to reframe the course to prevent retraumatization. As an agency, Selfhelp has experienced tremendous growth as a result of infusing PCTI practices agency wide. By reaching out to educate other members of the aging services network in PCTI practices, Selfhelp opened an avenue for a deeper collaboration. Training other agencies taught them how to identify and better serve survivors and allowed Selfhelp an opportunity to explain how two agencies can better work together to maximize the amount of services survivors receive. By fostering an increased willingness for cross-agency referrals, survivors were able to receive significantly more services, while both agencies were able to maintain their current level of services. As part of this outreach effort, Selfhelp has been actively reaching out to the survivor community to identify survivors who are not connected with services to ensure anyone who needs services, receives services. When designing advertisements for local papers, staff utilized their training and realized that certain images or words could turn away the very survivors they were trying to reach. To prevent traumatizing survivors, Selfhelp convened a volunteer committee of survivors to give their input on all aspects of the proposed advertisements. The survivor committee was able to identify images that were too jarring for the survivor community and selected images and wording that would be the most effective to the target audience, embracing the core principals of PCTI service provision. As the successful programs at Jewish Family Service of Kansas City and Selfhelp Community Services, Inc. illustrate, educating and training staff, volunteers, and community partners about PCTI care is a critical step in creating organization-wide systems where Holocaust survivors can receive services in a safe, non-threatening, non-traumatizing manner. Whether through train the trainer models, expert trainings and presentations, conferences, continuing education, or some combination thereof, agencies that learn and incorporate PCTI principles into their daily operations are likely to have the greatest impact on those who need help the most. Carter, J. and Weinberger-Divack, H. (2015). Older adults have the right to receive person-centered care: A hypothetical case. Aging Today, 36(3), May-June, 2015. Feinberg, L. (2012). Moving Toward Person- and Family-Centered Care. Washington, D.C.: AARP Public Policy Institute. van der Kolk, B. (2014). The Body Keeps the Score. New York, NY: Penguin Books.